With a tradition going back to its formation in 1941, the United States Air Force Band has long been the Air Force’s premier musical organisation, inspiring audiences in America and all over the world. Many of the works on this album demonstrate the history and importance of flying, from Philip Wilby’s vision of a bygone era in Dawn Flight, Bruce Yurko’s Red Tail Skirmish, dedicated to the heroism of Tuskegee Airmen in WWII, and the futuristic excitement of Asimov’s Aviary by Joel Puckett. 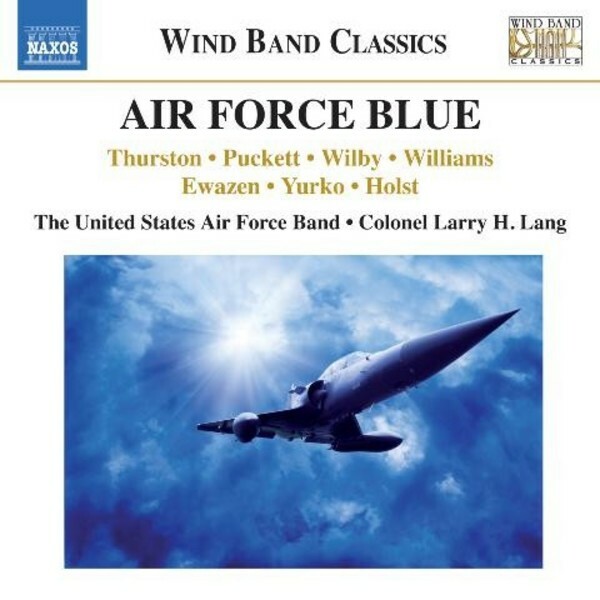 The spectacular virtuosity of the United States Air Force Band can also be heard in Time Travels by the band’s chief arranger, Senior Master Sgt. Robert Thurston, and in the superb arrangement of three movements from Holst’s The Planets.